If you are looking for an experienced Michigan Retaining Wall Systems supply store, please visit Haley Stone at our Auburn Hills (248) 276-9300 or Rochester Hills (248) 852-5511 location. 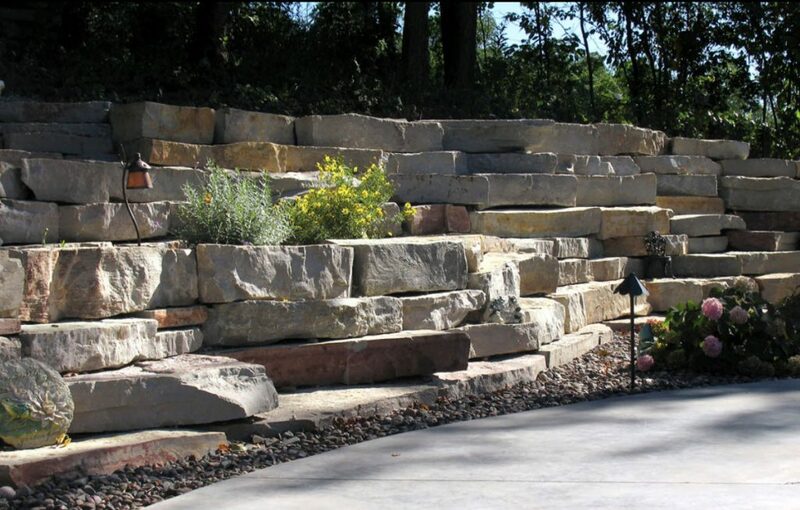 Click here to see photos of our retaining wall systems or Follow Us on Facebook for our Auburn Hills or Rochester Hills location. 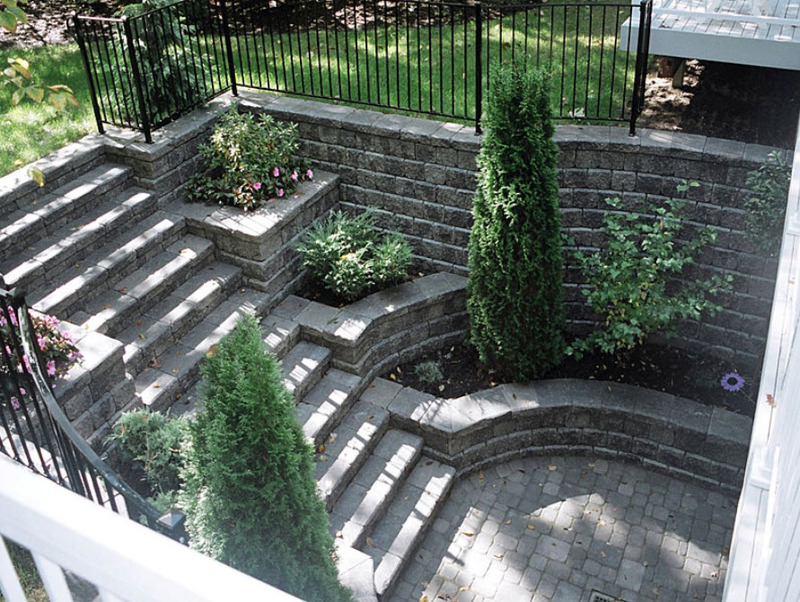 Pictured above is the beautiful Unilock Rivercrest retaining wall system! If your landscape features sharp gradient changes, a retaining wall is a feature worth integrating. In addition to providing essential structural support to large masses of soil, a thoughtfully designed retaining wall can be an attractive focal point for you backyard. Retaining walls also have a number of other benefits that can help transform your landscape into a functional and striking masterpiece. A retaining wall serves to keep soil in place. This mostly applies to landscapes featuring small hills where these walls act as a necessary barrier to prevent the soil from sliding forward in a landslide. This can prove vital considering the wet transitions to summer in the Michigan region, as rain can exacerbate soil degradation. This makes a retaining wall a necessary safety feature for your landscape, ensuring your well being as well as the well being of your house and the features in your yard. Depending on the amount of support required, Unilock provides a range of products such as the freestanding Cumberland Wall or the heavy duty SienaStone wall units to meet your requirements. 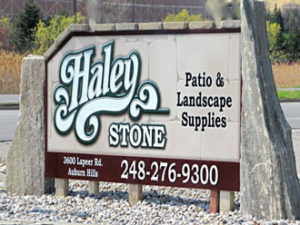 For a top rated Michigan Retaining Wall Systems supply store, please check out Haley Stone at our Auburn Hills (248) 276-9300 or Rochester Hills (248) 852-5511 location. 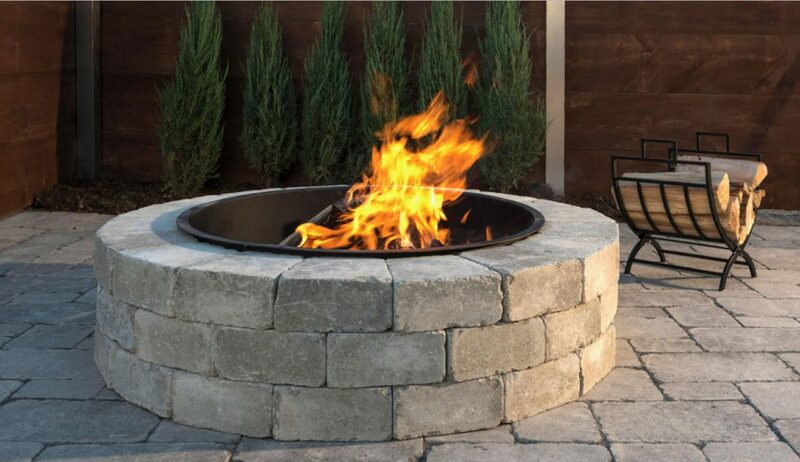 If you are searching for a Michigan Firepit Kits store, please visit Haley Stone at our Auburn Hills MI (248) 276-9300 or Rochester Hills MI (248) 852-5511 location. 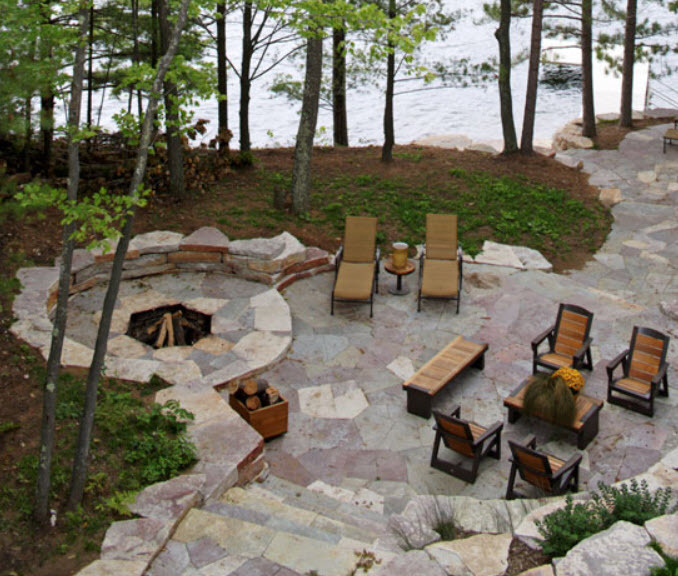 The advantages of incorporating a firepit into your landscape design extend to enjoyable use of the patio or backyard space. You may entertain often and look forward to nostalgic chats or enjoy a cozy cuddle in the glow of the fire with your partner. A fire pit makes enjoyment of fire safer and easier. Moreover, by using a firepit kit, the installation is simple and convenient. As you consider the options of fire pit kit installation, look to the offerings manufactured, sold, and guaranteed by Unilock. These kits offer longevity and durability, as well as versatility of style. For a Michigan Firepit Kits store with a great selection, please check out Haley Stone at our Auburn Hills MI (248) 276-9300 or Rochester Hills MI (248) 852-5511 location. Click here to see our additional specialty items. 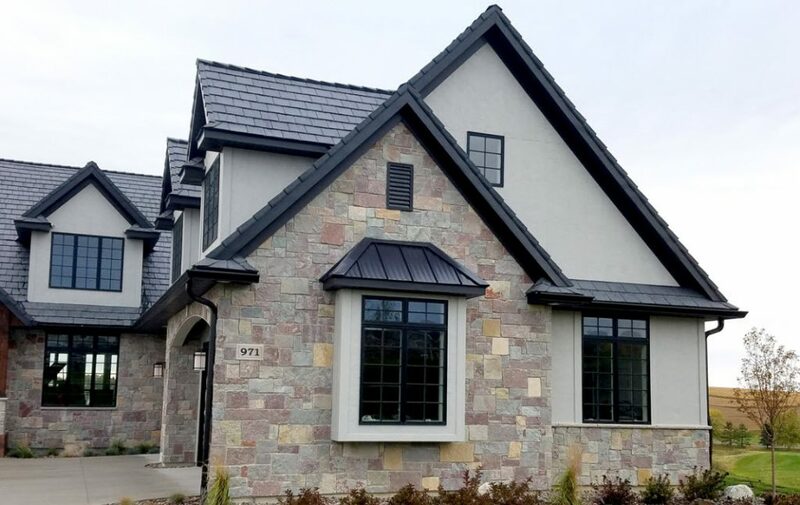 If you are in need of Natural Stone Veneer Siding products, please visit Haley Stone at our Rochester Hills or Auburn Hills locations for a wide variety of Natural Stone Veneer Siding products. Click here to see our natural stone veneers in action or Follow Us on Facebook for our Rochester Hills or Auburn Hills locations! Our natural stone veneer siding in action! Natural Stone veneer siding isn’t exactly new. It’s been used as an architectural element for thousands of years. However, despite the beauty of the material, stone veneers weren’t easy for the average person to acquire, as the cost as astronomical. However, in recent years, that’s changed. 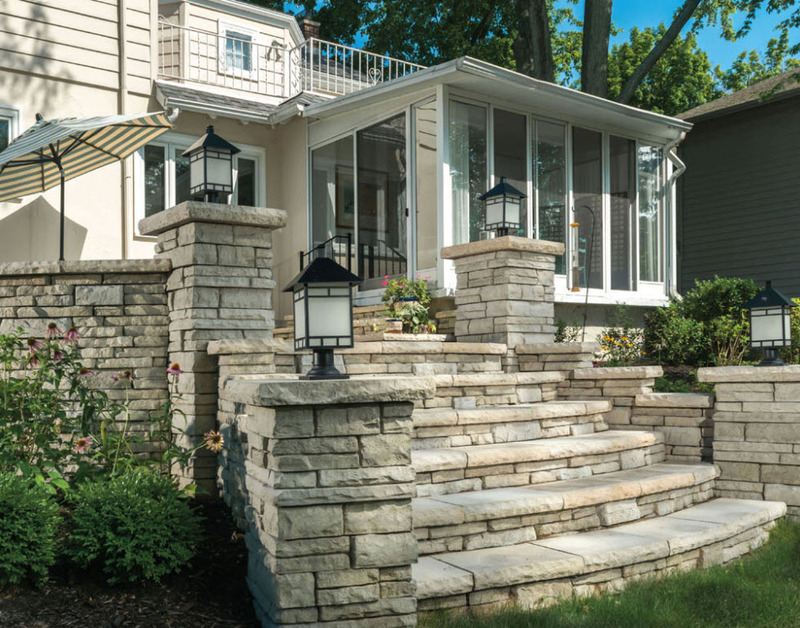 Thanks to the advent of natural stone veneer siding, it’s now much more affordable and easy accessible. Stone veneer siding offers a beautiful, unique, and eye-catching look that other siding materials simply can’t. 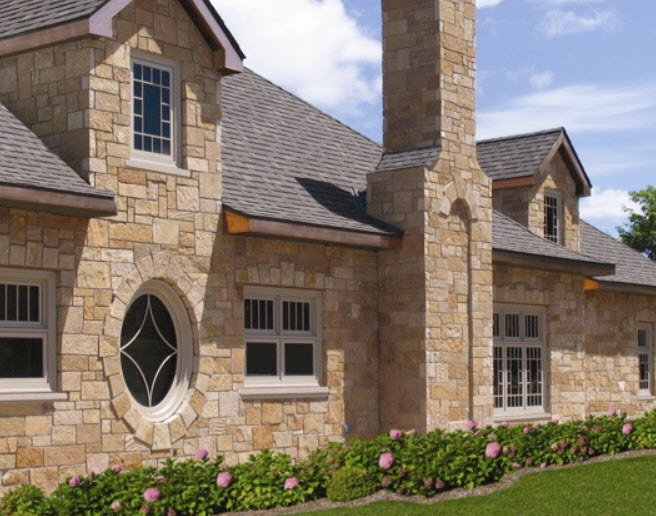 If you’re considering stone veneer siding, you have to options: natural or synthetic. As the name suggest, natural veneers are made from naturally occurring rocks and have simply been cut thin to make them easier and more affordable to use as siding. Synthetic veneers are made of cement, aggregate, and pigments, which are placed in a mold to cast the shape of natural stone. The most obvious benefit is that it’s natural. It comes directly from the earth and showcases the marvel that years of geological pressure took to create the stone. It’s also better for the environment, as it doesn’t create human-made waste, like synthetic stone veneer siding does. Natural stone can withstand the test of time. In nature, it can take on the harshest conditions without making a flinch. When used as siding material, you can rest assured that it will look just as good decades down the road as it did the day it was applied. Our Natural Stone Veneer Siding at a Michigan Residence! Very little care is required for natural stone. A quick power washing to remove dirt and debris once in a while is all that is needed to keep it looking great. 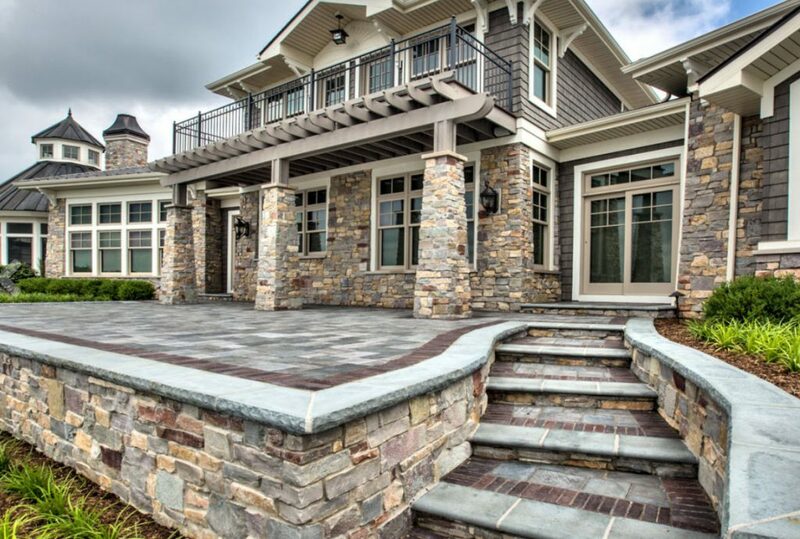 For a large selection of Natural Stone Veneer Siding, please stop by Haley Stone at our Rochester Hills or Auburn Hills locations! 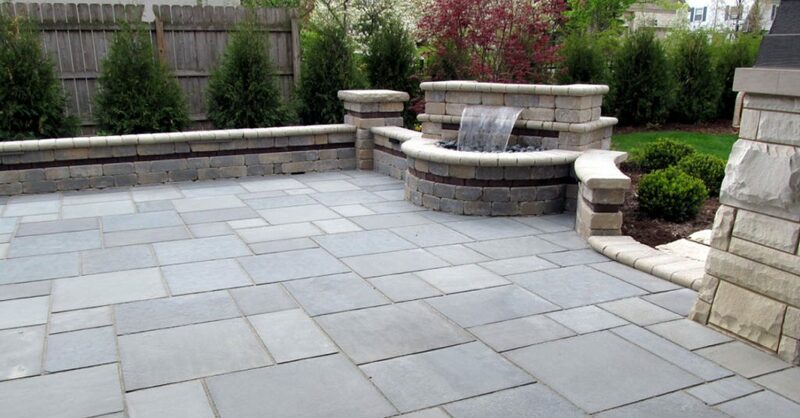 If you are searching for a top rated Michigan Bluestone Patio Supply service, please contact Haley Stone at our Auburn Hills location (248) 276-9300 or our Rochester Hills location (248) 852-5511. 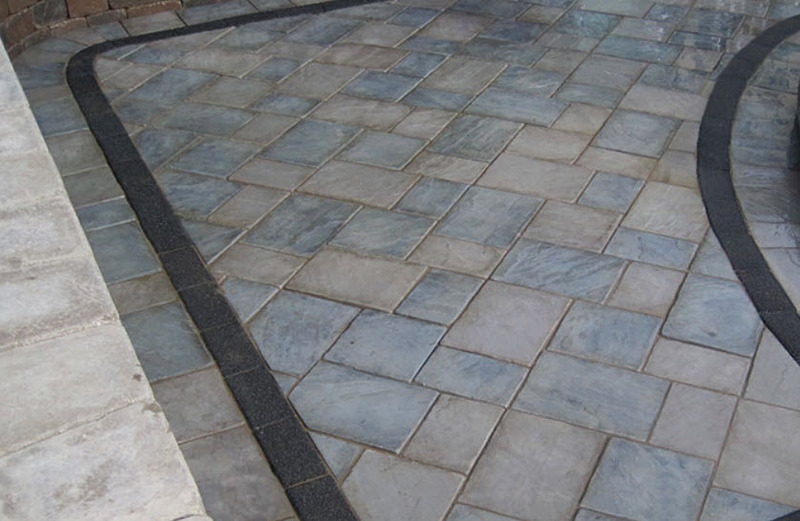 We offer Michigan’s largest supply of Bluestone! Click here to see examples of our Bluestone in action or Follow Us on Facebook in Auburn Hills or Rochester Hills. 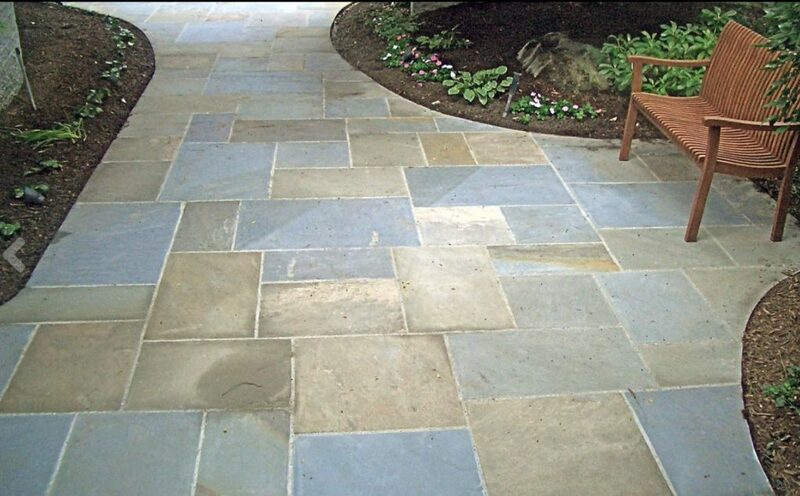 Here is our Bluestone in action on a beautiful patio! 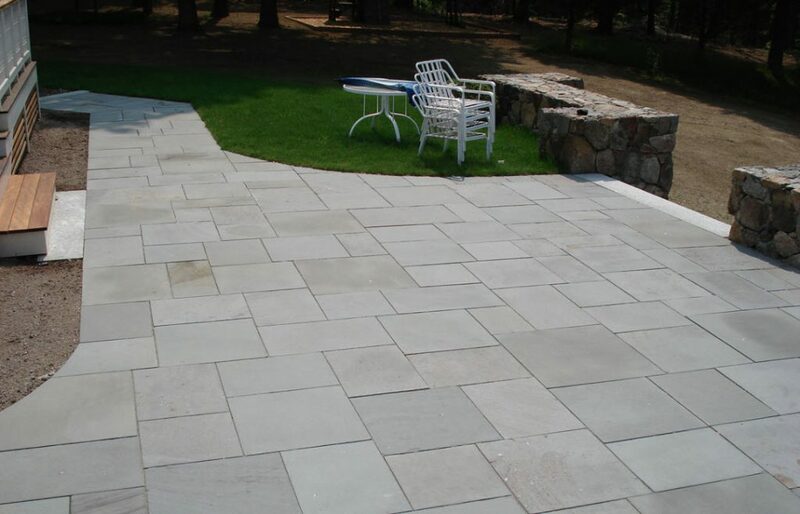 Durability: The strength bluestone makes it a good choice for patios and other outdoor areas that receive lots of traffic. 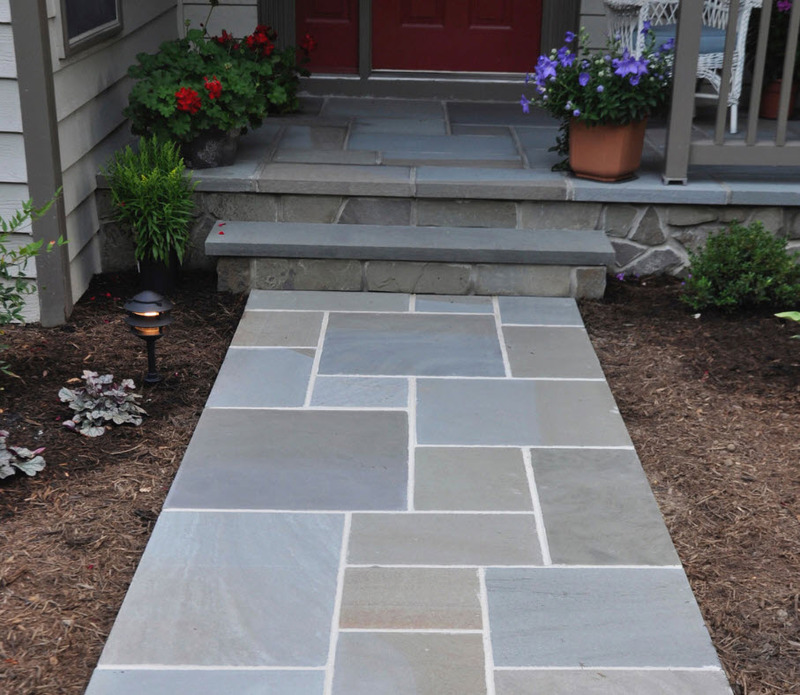 Natural: Some homeowners choose bluestone because they want an environmentally-friendly patio. As bluestone is a natural material, manufacturers can source the material without impacting the environment. 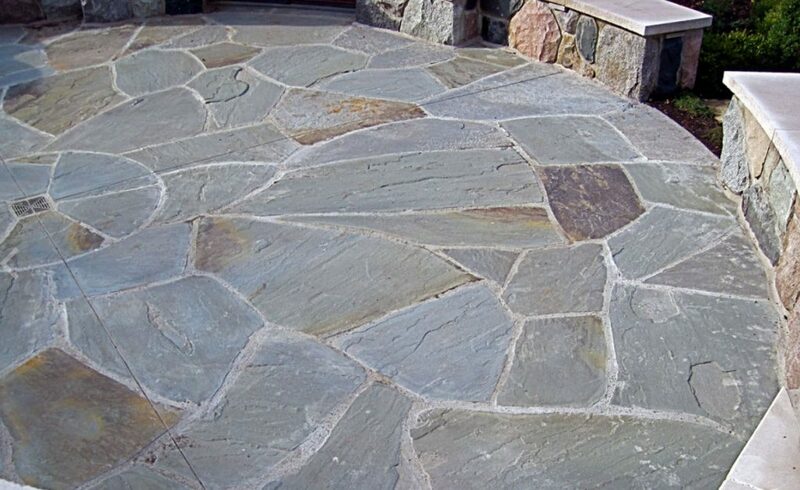 Flexibility: Some manufacturers find irregular flagstones sitting in fields and other places, and they might break larger stones into more manageable pieces. Another shot of our Bluestone installed on a patio! For the largest Michigan Bluestone Patio Supply service, please call Haley Stone at our Auburn Hills location (248) 276-9300 or our Rochester Hills location (248) 852-5511. 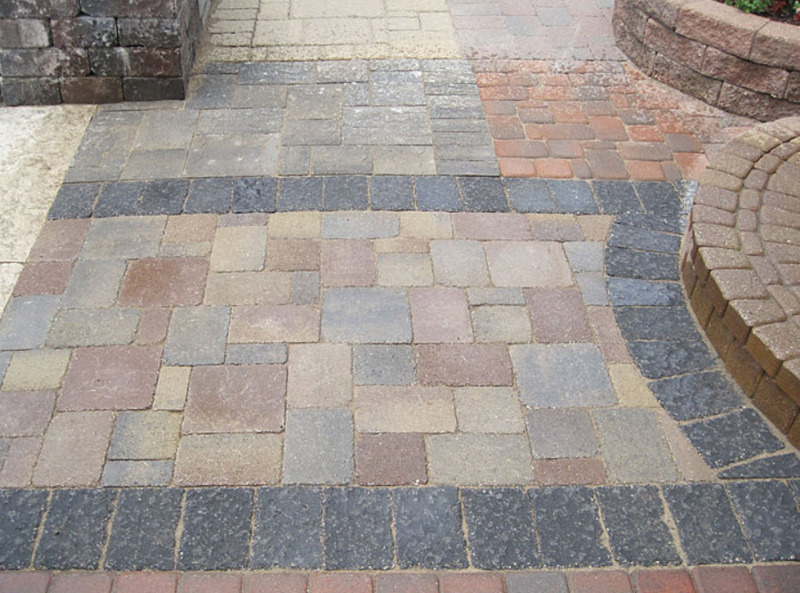 If you are in need of a Michigan Brick Pavers Supply Store, visit Haley Stone in Auburn Hills MI (248) 276-9300 or Rochester Hills MI (248) 852-5511 and browse our wide selection of Brick Pavers. Click here to see photos of our Brick Pavers at our customers homes. Follow Us on Facebook for our Auburn Hills or Rochester Hills locations. Our brick pavers made this patio gorgeous! A patio is one of the most worthwhile investments you can add to your home. Not only will the space provide years of outdoor entertainment and dining, but when you decide to sell your house, a patio can actually increase your property value. 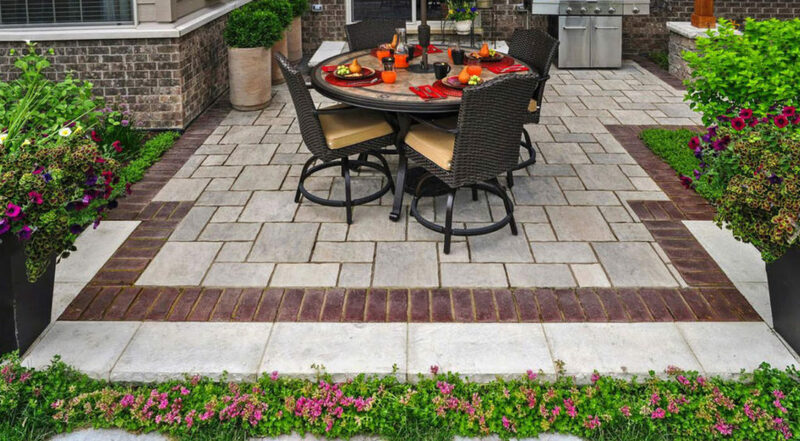 When it comes to patio designs, paver patios are becoming a popular option. Made from pavers or bricks, homeowners marvel at their easy installation at low-maintenance. Plain concrete patios might be the most cost-effective option for outdoor entertainment, but let’s face it, they are far from stylish. Building a patio with paver bricks, on the other hand, allows you to experiment with color and design. Whether you want a multi-colored, intricate design or a simplistic, natural look, paver patios provide plenty of creative options. Unlike installing a deck or another outdoor entertainment space, installing a paver patio is quick and easy. In fact, most installations take only a few days or a weekend at most. This means you will spend less time dealing with the hassle of construction and more time enjoying the outdoors and relaxing with your family and friends. 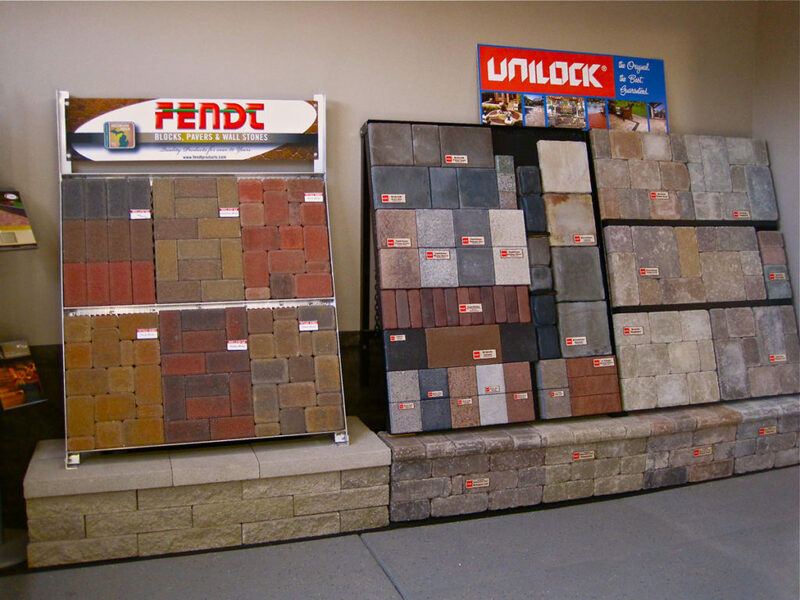 Come see our large selection of brick pavers at our Auburn Hills or Rochester Hills locations! If you are looking for an experienced and trusted Michigan Brick Pavers Supply Store, stop by Haley Stone in Auburn Hills MI (248) 276-9300 or Rochester Hills MI (248) 852-5511 and checkout our large selection of Michigan Brick Pavers. 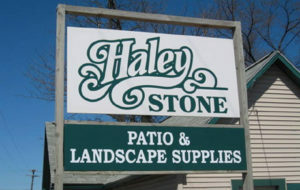 If you are in need of Natural Stone Retaining Walls, visit Haley Stone in Auburn Hills MI (248) 276-9300 or Rochester Hills MI (248) 852-5511 and browse our wide selection of Natural Wallstone. 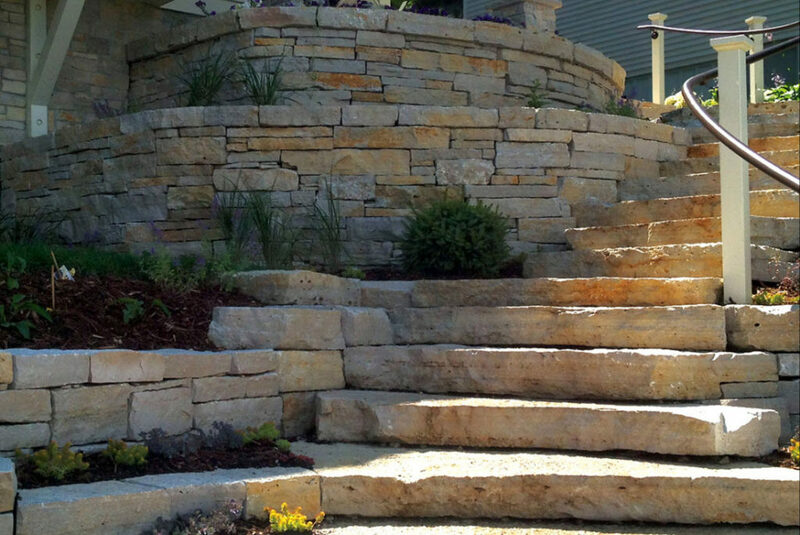 We are your Natural Stone Retaining Walls experts! 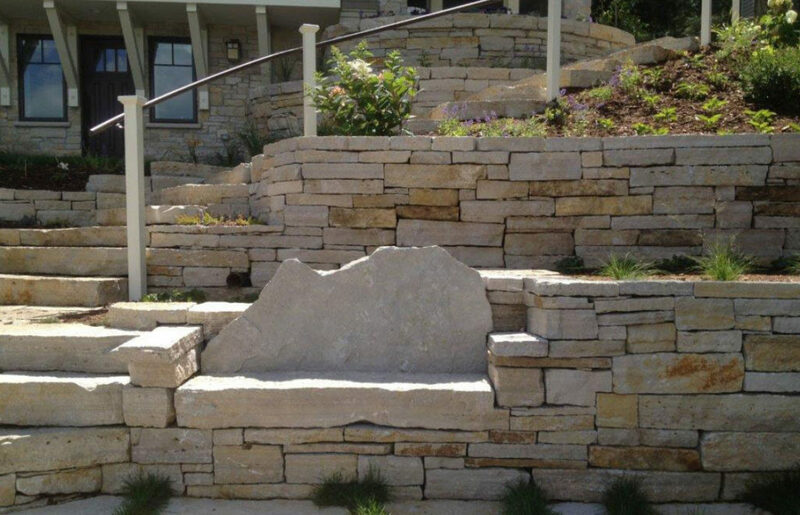 Click here to see photos of our Natural Wallstone products in action. Follow Us on Facebook for our Auburn Hills or Rochester Hills locations. This photo shows our Natural Wallstone in action! 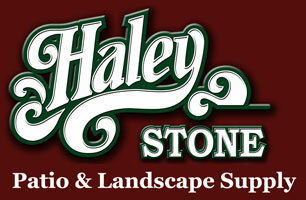 If you are interested in Natural Stone Retaining Walls, stop by Haley Stone in Auburn Hills MI (248) 276-9300 or Rochester Hills MI (248) 852-5511 and view our wide variety of Natural Wallstone for landscape needs.